Voice biometrics is a game changer in the contact center. 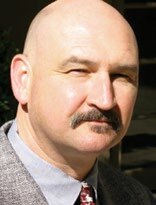 Paul Stockford is Chief Analyst at Saddletree Research, which specializes in contact centers & customer service. When it comes to authenticating an individual’s identity, fingerprinting has been the go-to solution for centuries. Literally. Fingerprinting can be traced as far back as second century Babylon, where fingerprints were used as signatures to protect against forgery. Parties to a legal contract would impress their fingerprints on to the clay tablet upon which the contract was written. By the eighth century, fingerprints were accepted as signatures on financial and other legal documents in a number of countries around the world. Of course, these early users of fingerprinting probably didn’t realize that fingerprints could be used to uniquely identify individuals as well. That didn’t happen until 1788, when a German physician recognized that fingerprints are unique to each individual. Fingerprints didn’t enter the realm of police work until 1892, when an Argentinean police inspector discovered a bloody thumbprint on a doorknob and matched it to a suspect, who then confessed. Personally, I’ve been fingerprinted many times. No, it’s not what you’re thinking. My fingerprinting goes back to when my family emigrated to the U.S. and, even though I was a small boy, my fingerprints were taken. My first California driver’s license has my thumbprint on it. My military enlistment papers have my fingerprints, and I was fingerprinted again when I became a naturalized American citizen. I’m no stranger to the black fingerprint ink. Most recently, I was kind-of fingerprinted when I applied for a Known Traveler Number with the Department of Homeland Security. Instead of black ink, though, my fingerprints were scanned, just like they are on my iPhone so I can access the phone without having to enter a password. So, it seems like fingerprints are a pretty foolproof means of identification, right? Wrong. Researchers at Japan’s National Institute of Informatics (NII) have determined that hackers can now copy the patterns of an individual’s fingerprints from photos. Something as innocent as a person holding up a hand and waving in a photo can be fodder for a hacker to reproduce an individual fingerprint. Even as fingerprint scanning technology becomes more sophisticated, there are those who strive to keep pace with it for questionable purposes. In the contact center, authentication issues have become of paramount importance as such security techniques as passwords and ID numbers are increasingly proven to be ineffective in the fight against fraudsters. Since a contact center cannot reasonably collect and compare fingerprints for every caller, how is that extra layer of security administered once a password has been entered? The answer lies in biometrics. Biometrics is the technical term for body measurements and calculations; in other words, the metrics related to human characteristics. 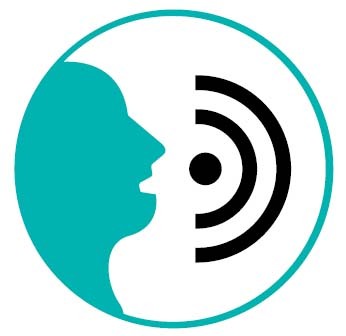 Voice biometrics, which is most appropriate for voice-based customer interactions, dissects and extracts a number of features from a voice recording to form a voice print of an individual. When that individual calls in to the contact center, his or her voice print is compared to the live voice in order to verify and authenticate identity. This authentication can actually occur during the natural course of a customer interaction without the caller knowing authentication is in process. Despite all the obvious advantages of voice biometrics in the contact center, there are still limitations and those limitations generally revolve around enrollment. In many cases, the enrollment process for voice authentication is somewhat inconvenient in that customers are required to complete a series of steps that entail the recording of their voices in specific instances. This is time-consuming and, let’s face it, a tiresome process. As a result, the success rates of enrollment processes have been relatively low. Given this stumbling block to enrollment, the argument could be made that the future of voice biometrics in the contact center is limited. NICE’s Shemesh would likely argue that point. As the global contact center industry hurtles toward artificial intelligence (AI) drivers for automating tasks currently handled by human agents and operators, it stands to reason that biometrics will be on the same trajectory when it comes to increasing efficiency and security in the contact center. As the bad guys continue to concentrate their efforts on doing whatever they can to violate the security of customers, it’s reassuring to know that the good guys are doubling-down on their efforts to ensure that the bad guys don’t win. The world has changed considerably from the days when a black inkpad and a set of fingerprints was the state-of-the-art in personal identification. As NICE’s Shemesh points out, voice biometrics is a game changer in the contact center.